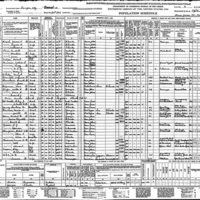 The census population schedule for Tampa, Florida in 1940. Individuals are identified by name, titles and terms, gender, age, marital status, race, relationship to head of household, birthplace, birth year, the last place of residence, and occupation. Notable residents listed in this record were Marion C. Fordham, Sr. (b. 1897) and Zerith Fordham (b. 1898), the parents of Marion C. Fordham, Jr. (d. 1944). On November 12, 1942, Fordham, Jr. enlisted in the U.S. Army, and then married Ann Yarbrough the following year. During World War II, Sgt. Fordham fought in the 397th Infantry Division of the 100th Infantry Regiment. He died near the town of Baccarat, France, at the foot of the Vosges mountains on November 12, 1944. Sgt. Fordham received the Silver Star for conspicuous gallantry and intrepidity in action against the enemy and is currently buried at Epinal American Cemetery and Memorial in Dinozé, France. Originally created by Irene Jones McMartin and published by the Bureau of the Census. "M C Fordham Junior." FamilySearch. https://familysearch.org/ark:/61903/1:1:MNVF-BZQ. McMartin, Irene Jones. 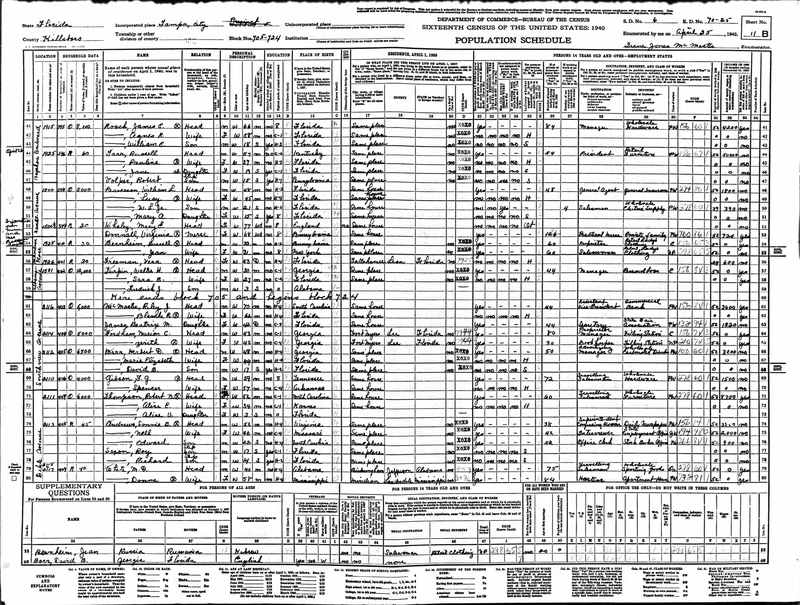 “Sixteenth Census Population Schedule for Tampa.” RICHES of Central Florida accessed April 23, 2019, https://richesmi.cah.ucf.edu/omeka/items/show/9290.